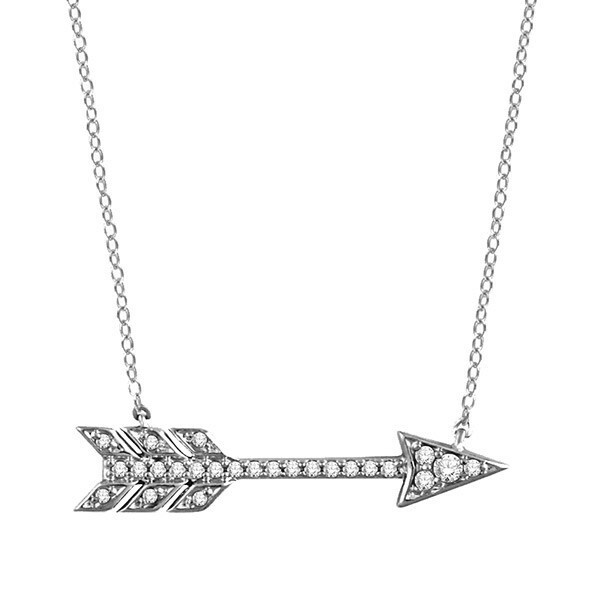 This arrow necklace points the way to a current trend in jewelry. Crafted in 14kt white gold, it features diamond accents that put the emphasis on style! It's a piece of jewelry to wear when you want to indicate your good taste for all the world to see.